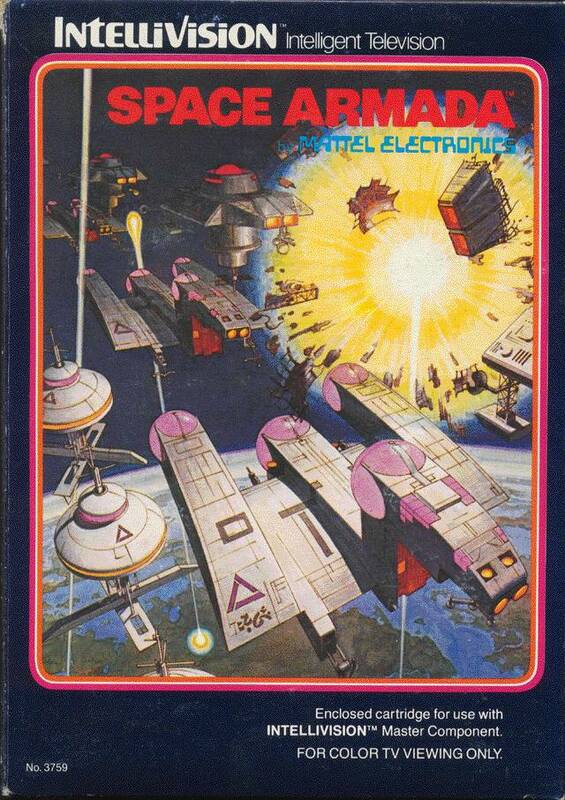 Space, the most common frontier for video games in the late 70s and early 80s. An armada of bomb-dropping aliens will wreak havoc on Earth’s defenses unless players take them out effectively. The bunkers can withstand a formidable amount of damage but they won’t last forever. The fleets are never-ending and they’ll require more skill as time flies by. This is Space Armada, a blatant clone of Space Invaders. 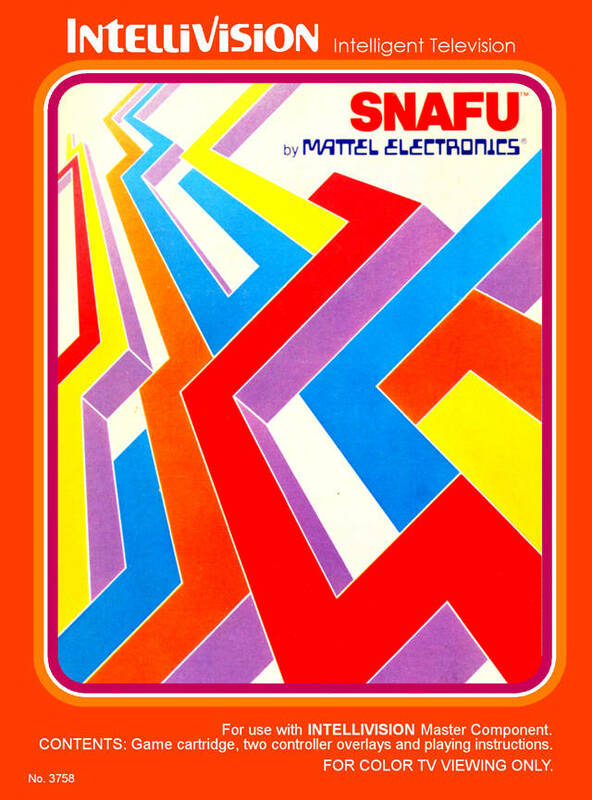 It was released for the Mattel Intellivision in 1981 and developed by John Brooks and Chris Hawley, programmers at APh Technological Consulting. Space Invaders, er, Armada as seen in XBLA’s Game Room. 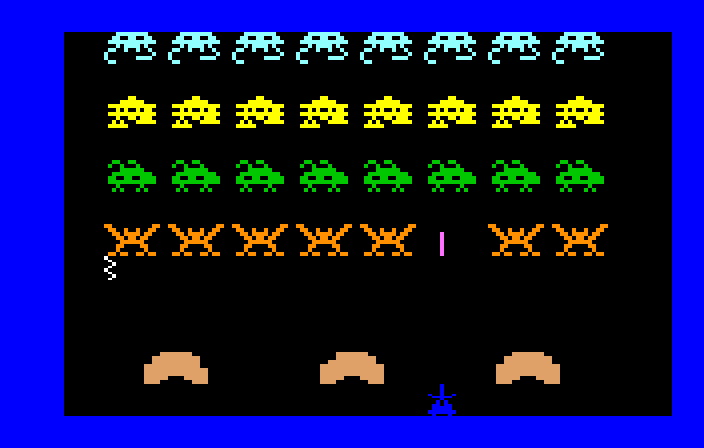 John: Wow, this is unashamedly a clone of Space Invaders; a hard one to boot. I like that the game is very colorful and it plays well, but it’ll take a lot of practice to make progress. Jeff: This was a clone of Space Invaders; very simple and somewhat responsive. I just didn’t like how the first stage appears to be impossible to pass. I know it is possible, but just not worth the effort. The arcade industry didn’t have much reason to worry about home consoles at this point in time and I can see why. The common snake game is a blast on any platform, even Nokia cellphones! 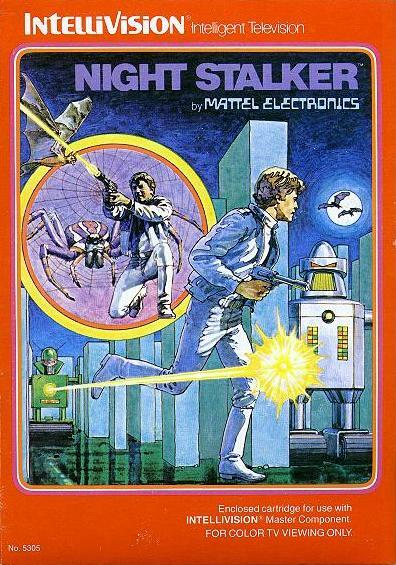 I dig the retro box art of INTV games, especially this one. The primary objective of any thief is to steal anything of value and escape without being apprehended. 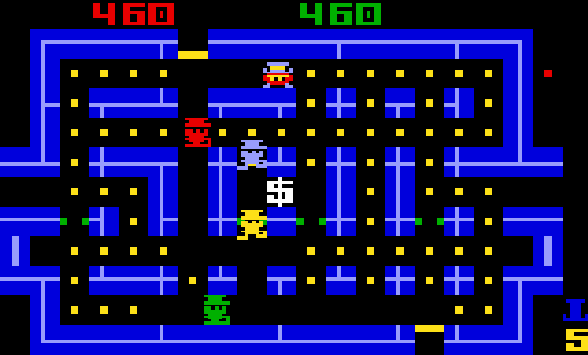 That’s just what players do in Lock ‘n’ Chase, a Pac-Man like game with the objective of filling a thief’s coffers while evading the police. 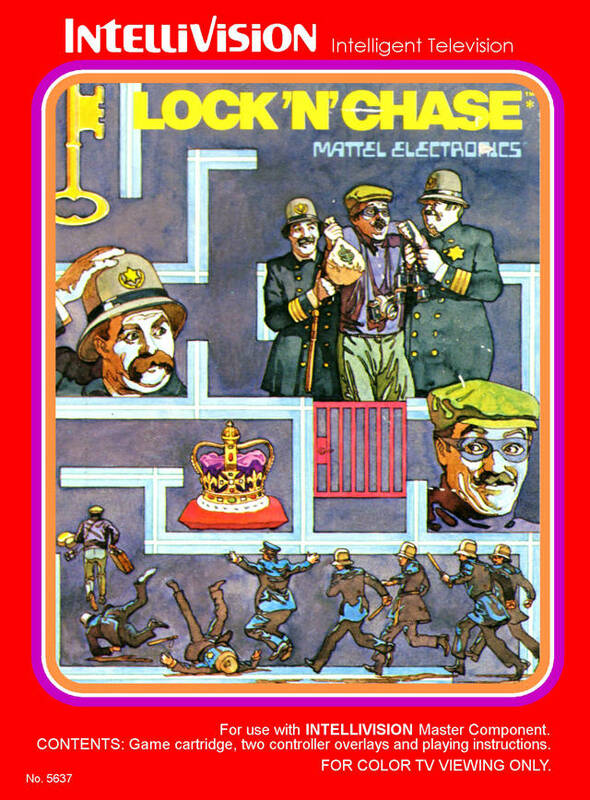 Originally a Data East arcade game, Mike Winans programmed the Intellivision version which was published by Mattel in 1982. 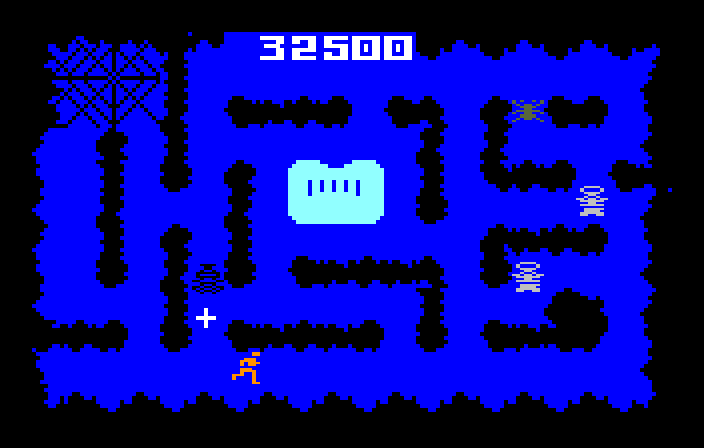 John: A poor Pac-Man clone that loses a great deal of playability thanks to the Intellivision’s disc pad. Also, the soundtrack’s three sounds are grating. Not a great game. Jeff: There isn’t much you can do with the Pac-Man formula and Lock ‘n’ Chase shows that. As a clear clone of the excellent Pac-Man you would think it wouldn’t be difficult to make a similar “run around and collect things, while avoiding capture”, but I was wrong. Thank you Data East for this horrendous game; beep, beep and a boop to you!